Sonivox has over a decade of experience of meticulously sampling and expertly voicing instruments. Over the last 12 months they have been working hard to provide the reference collection of "must-have" instruments for keyboard players. 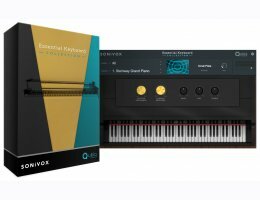 Their new flagship keyboard instrument utilises the powerful new struQture audio engine from Qubiq Audio, providing full cross DAW compatibility, outstanding sonic quality, visually stunning easy-to-use UI’s and a standalone performance app. This dynamic instrument features a wide library of highly playable sounds designed to sound great in live performances or studio use. EK has been produced by the sound design veterans behind the highly-acclaimed Air Music Tech Mini Grand, DB-33 and Velvet plugins as well as Sonivox Eighty-Eight. 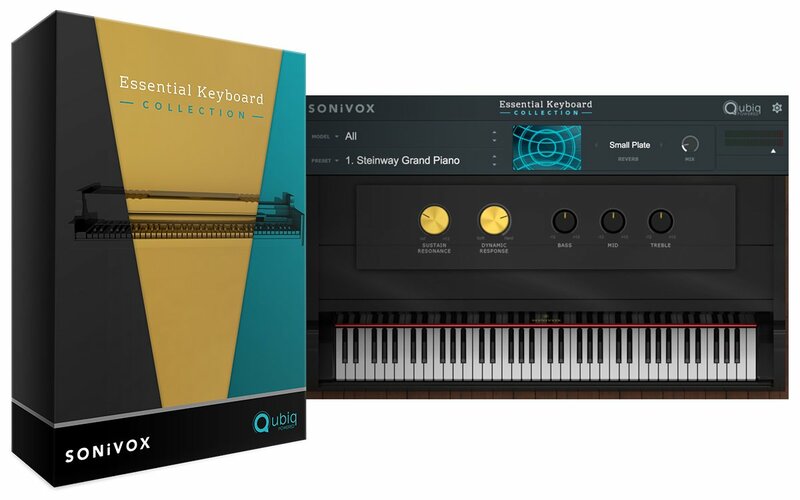 Sonivox set out to provide keyboard players with the essential collection for live performance. EK includes a selection of thirteen powerful instruments, each with their own intuitive UI built into one powerful player supporting all popular plugin formats. They can also be used as a standalone PC and Mac app when you want to plug in your keyboard and just play. This comprehensive collection includes the most requested instruments for live performance. Each instrument includes a set of highly playable presets perfect for any musical genre or style. The piano—perhaps more than any other single instrument—conveys the whole range of musical thoughts and emotions like nothing else can. EK features stunning Piano models, including a Steinway Grand piano, Yamaha Grand piano, a classic upright piano, Celeste, and even a Toy Piano for times when you need a taste of something different. There are very few truly unique instrumental sounds in the world of music. Sounds so distinct, so compelling, so immediately identifiable and genuine that you just have to have it. One of these really great, unmistakable instrumental sounds is the tonewheel organ, used by many great rock, soul and jazz artists in the 1960’s to 1980’s. Unforgettable musicians like Stevie Winwood, Jon Lord of Deep Purple, Jimmy Smith and Richard “Groove” Holmes used tonewheel organs to great musical effect. The Essential Keyboard Collection includes 20 tonewheel organ presets designed to cover jazz, rock, pop and other music styles. If you’re looking for something more traditional, EK offers a church organ, Celeste, and 4 harpsichord models for classical or worship productions. Thirteen stunning Instruments each with multiple presets: Steinway Grand Piano, Upright Piano, Yamaha Grand Piano, Rhodes Mark I, Rhodes Mark II, Wurlitzer, Pianet, Harpsicord, Toy Piano, Clavinet, Harmonium, Tonewheel Organs, Church Organ. Powerful built-in Reverb, Delay, Vibrato, and Chorus effects with multiple presets for each instrument. Also works as a Standalone performance App for PC and Mac plugin your midi controller and perform with no mapping required.